Now that Gardenhart Landscape & Design has caught up from the last storm, the problem I am having is snow melting from my roof on the driveway and freezing into a solid mass of ice. I wonder if others are having the same problem and what solutions have worked. I used to get out there with sharp tools and flat shovel and work for hours chipping and removing it by hand. Ice melt products have had a negative connotation for me until recently and I have begun experimenting with them at my home. I have found that they really do a good job with very icy areas. It does take some time, but removing the hard ice is tough. The Pro’s of using ice melt include less work, faster melting. But the cons include granular rock type material around your walks and being tracked into the house. The ice melt is made from a chemical composition that includes some of the items in the below table which are potentially harmful to concrete, plants, pets or your drinking water if you have your own well. Instead of “salting” your driveway, use types that are safe for pets. This alternative to salt for ice melting is more eco-friendly than salt. Many pet safe ice melt products don’t contain salt, but rather three organic ingredients. You could also try using baking soda or kitty litter on the ice, which is a lot safer. Ice melt products may cut ice problems, but can really affect lawns. Most ice melts have a high pH level, and this burns the lawn, killing grass. The problem area generally can be easy to repair. Gypsum may help reverse the damage because it has two key ingredients, calcium and sulfur, that help neutralize the soil. Therefore, the overall conclusion that I have come to is to read the ingredient label on all ice melt products. I will purchase those that are the safest and stay away from those most harmful. Calcium chloride and magnesium chloride appear the safest to use, but I will experiment with both baking soda and kitty litter. This will be good for our landscaping, pets, water and the earth. 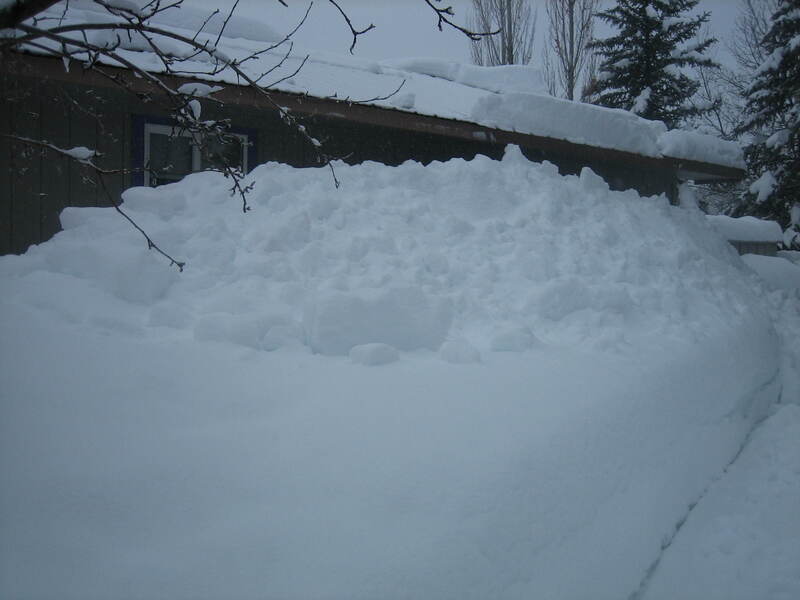 Snow Removal Tips for Durango, Colorado. What to do before it snows. Durango, Colorado received up to fifteen inches of snow in the last few days, covering everything that is outdoors. This includes old newspapers, rags, brooms, pieces of carpet, dog toys, piled leaves, etc. All of these items are not appropriate for consumption by a snowblower. Not only does it take a long time to clear debris from the machine, they may actually break the shear pins that hold the rotor in place. This requires repairs and prevents you from completing the task at hand. Another tip is to put up markers to indicate edges of driveways, walkways, sprinklers, water main lines or other important items you may need a snow removal expert to be aware of, so as not to break or damage those items. If you plan to have someone else remove your snow, it would be a great idea for them to come out before it snows, so that your landscape is the best protected and the contractor can see any delicate items.